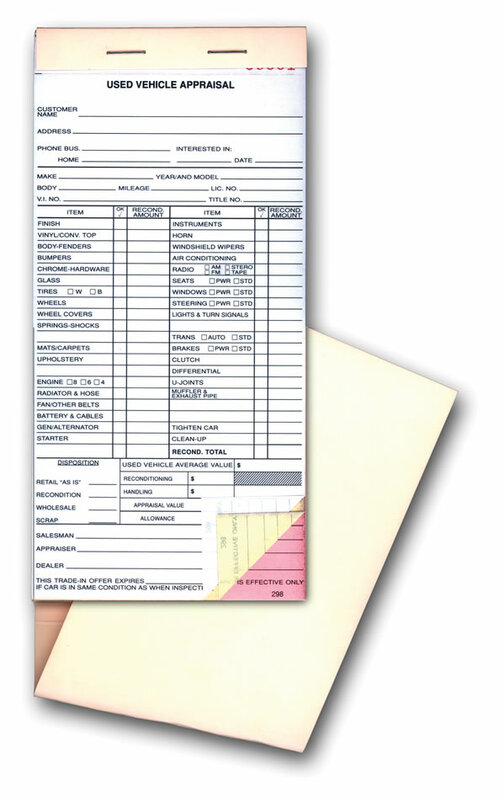 Vehicle Appraisal Forms - Books: These 3-part carbonless paper appraisal books have wrap-around covers to prevent write-through. The last part stays in the book for your records. COMPARE OUR PRICE to Great American Automotive Products. THEY'RE MORE EXPENSIVE … American's Price is 10 Books @ $41.50 (BFA299) … for the same item.